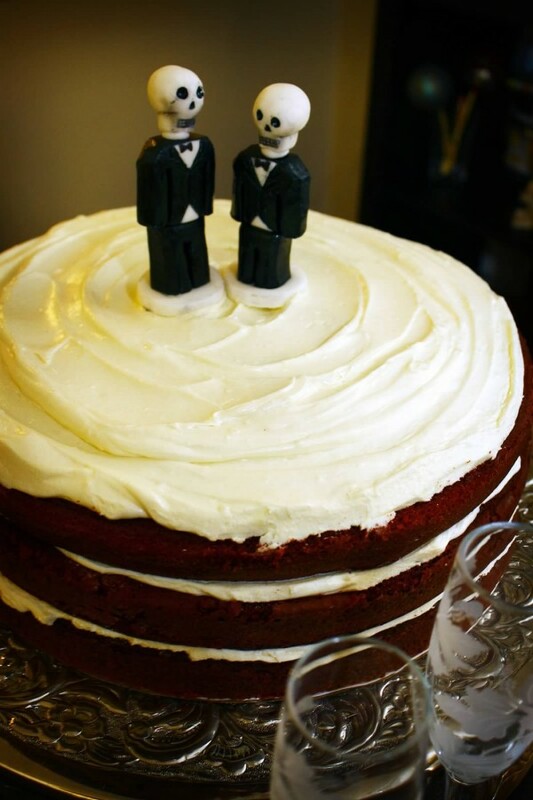 Wedding Cake Toppers, and on Following/Unfollowing. To all my fellow wordpress bloggers, if you’ve noticed me following you, then unfollowing you, and then, following you again, I just wanted to let you know that I’ve absolutely no idea how you are getting ‘unfollowed’ by me, only that I quickly hit the ‘follow’ button so that I can follow you again. I used to think it was just my clumsy fingers on my iphone, but I’ve not been using my iphone much for notifications, so I’m not sure what is happening, or where, how, and why it is happening. I’m really sorry if it looks like I’m being “wishy-washy” or trying to stay on top of your followers list (why would I want to do that?) If you have a clue about what is happening here (because even though I’ve used WordPress for roughly five months now, I’m still completely inept at learning most of the extra features beyond simply posting a picture with some text! ), could you please enlighten me? Thanks. Anyways, I wanted to share a picture of the cake toppers from my wedding cake(three layered red velvet with white chocolate cream cheese), which were made by a friend’s sister, and made of gum paste and fondant. 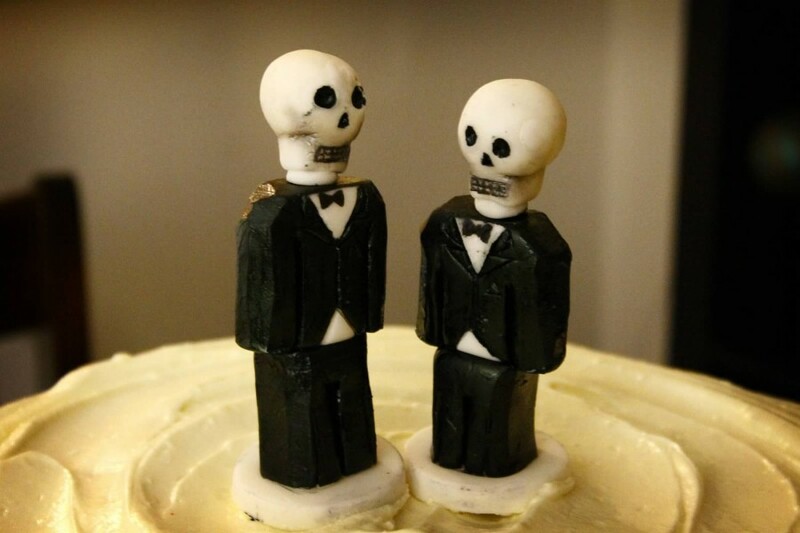 I think I’m the one on the left, since I’m slightly taller than my husband, who is from Mexico, (which is why they are Dia de Los Muertos-style skeletons). Have a great weekend! This entry was posted in wedding cake toppers and tagged following, unfollowing, wedding cake toppers, wordpress. Bookmark the permalink. Dave, the following thing might be a WordPress glitch – I noticed a few weeks ago that likes kept vanishing and reappearing & when I checked on the help forums, it was a problem WP knew about & were trying to sort (& had been going on for weeks). And love your cake toppers! Really, that’s good to know. Seems like a pretty major glitch. I hope they get it fixed. That makes me feel a little better, though. Thank you! Going on year 10 together, but only month 8 of married!